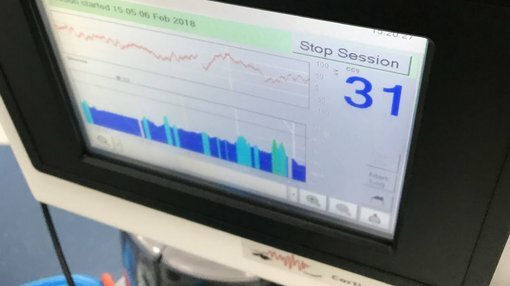 BPH Energy (ASX:BPH) today provided details on further successful trials of the Cortical Brain Anaesthesia Response (BAR) Monitor at St. Luke’s Private Hospital and Strathfield Private Hospital in Sydney. 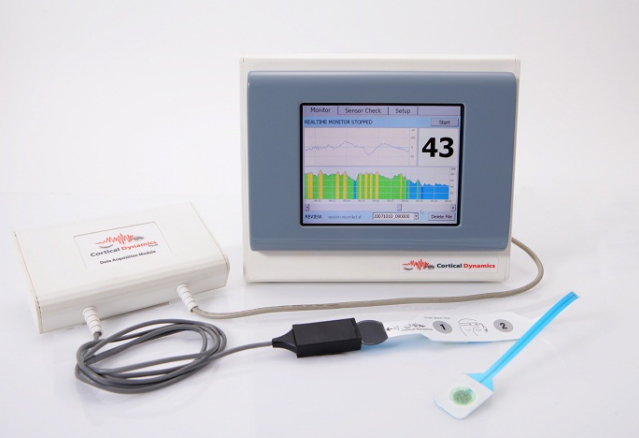 The BAR Monitor (or BARM) uses processed electroencephalography (pEEG) to monitor the brain response to anaesthetic and sedative agents. It’s the only monitor to use EEG analysis based on a model of brain electrical activity. Benefits to patients include reduced risk of waking up or having recollections of surgical procedures or dreams during the surgical procedure; reduced risk of receiving too high a dose of anaesthetic agent, which can lead to post-operative nausea and discomfort, or permanent injury or death in the most severe cases; and significantly improved outcomes, particularly for patients at high risk of awareness. The monitor's benefits to anaesthetists include the fact that it facilitates the use of the optimal dose of anaesthetic agent and the delivery of higher quality and more reliable service to hospitals and patients. It also reduces the risk of litigation due to patients experiencing awareness during surgery. The advantages also extend to hospitals and day clinics, with the improved likelihood of delivering a better service to patients. Optimising the dose of anaesthetic agent used can reduce the use of anaesthetic agents, improve patient turn-around times, and lead to cost savings. Again, there's also the reduced risk of litigation. The BAR Monitor has now been used with 109 patients at Strathfield and St Luke’s Hospitals and has been found to meet the three main hospital purchase requirements — providing technology benefits, clinical benefits, and cost-effectiveness. The trials have been conducted by Dr Adrian Sultana MD FRCP (Glasg) FANZCA, a consultant anaesthetist. He is appointed as a Conjoint Lecturer at the Prince of Wales Clinical School, University of New South Wales and is also a Clinical Lecturer in Anaesthesia at the Australian School of Advanced Medicine, Macquarie University. Sultana is also a director of the International Society for the Perioperative Care of the Obese Patient. The trials demonstrated that use of the BAR Monitor leads to a significant reduction in anaesthesia recovery time using TIVA (total intravenous anaesthesia). The Cortical BARM was remarkably stable and the responsive signal permitted a new level of belief in the awareness monitoring technique, allowing Dr Sultana to run cases at a CCS index of 45 with confidence in early tapering of the patients' anaesthesia using TCI (infusions of propofol and remifentanil). The BARM had impressive stability and speed of response. The anaesthetist was able to administer significantly less TIVA and was able to have the patient wake within three minutes of the end of the operation. Often, when using the BIS/Entropy (monitors), they dramatically lag patients' emergence, and Dr Sultana has had patients that take up to 20 minutes to wake up. Notably, he reported the patients emerged at CCS index of 70. In usage with NMB (Neuromuscular Block), he was able to “achieve accuracy, predictability and a smooth wake up”. BPH investee, Cortical Dynamics Ltd, believes these conclusions have significant implications for hospital operations. Optimising the dose of anaesthetic agent used can reduce the use of anaesthetic agents, improve patient turn-around times and lead to cost savings. It can facilitate the delivery of higher quality and more reliable service to hospitals and patients.